Henderson Shipyard, WA. Image via Commonwealth of Australia, Department of Defence. Morale among Western Australia’s defence SME community is on the rise, with the establishment of the Defence West office and a Defence Issues Minister finally bringing a much needed voice to the industry, AIDN-WA’s vice president said. Defence Connect spoke with Kristian Constantinides, AIDN WA VP and the general manager at Airflite, about the changing environment in WA's defence industry following last year's release of the white paper, and things are on the up. "The Defence SME community is encouraged by the current level of activity and focus on defence industry issues," Constantinides said. "There is a feeling that this focus on defence issues in Western Australia has never been better, so that provides the opportunity for industry to have a voice on matters than directly impact businesses and capability development." State and federal government interest in investment in the defence industry has not gone unnoticed in WA, and despite much controversy over the awarding of shipbuilding work across WA and South Australia, collaboration between SMEs across the country has been enhanced. "The establishment of Defence West and appointment of a Defence Issues Minister by the WA government is undoubtedly helpful," the AIDN WA VP said. "At Federal level, the appointment of a Minister for Defence Industry also helps promote national industry interests. WA industry also benefits from the active support of some West Australian senators. Adding to this is the advocacy by associations such as the Australian Industry Defence Network of Western Australia (AIDN-WA), which is able to generate visibility and collaboration by and between WA SMEs, and to create national influence on behalf of WA industry through the AIDN National body." 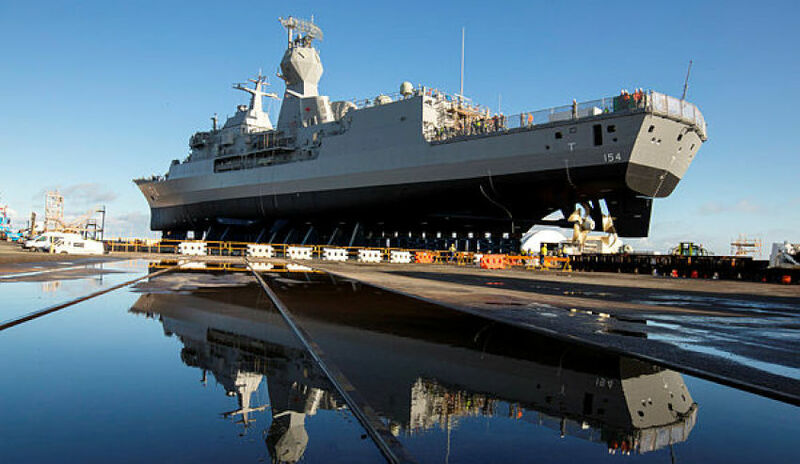 And while disputes remain over SA receiving the lion's share of the shipbuilding work, Constantinides said the conversation across industry has moved beyond these decisions to one of better engagement with primes and tier one defence leaders. "The collective impact provides a momentum and spotlight to what Western Australian industry is trying to achieve, so that has been very positive and well received. There have been differences in opinion politically regarding the amount of work to be directed to Western Australia, and our comments are not passing any judgement in that regard," he said. "What is positive, is that in spite of some disagreement, the dialogue and focus on West Australian industry provides opportunities for businesses to highlight their capabilities and seek engagement with Defence or tier 1 contractors."